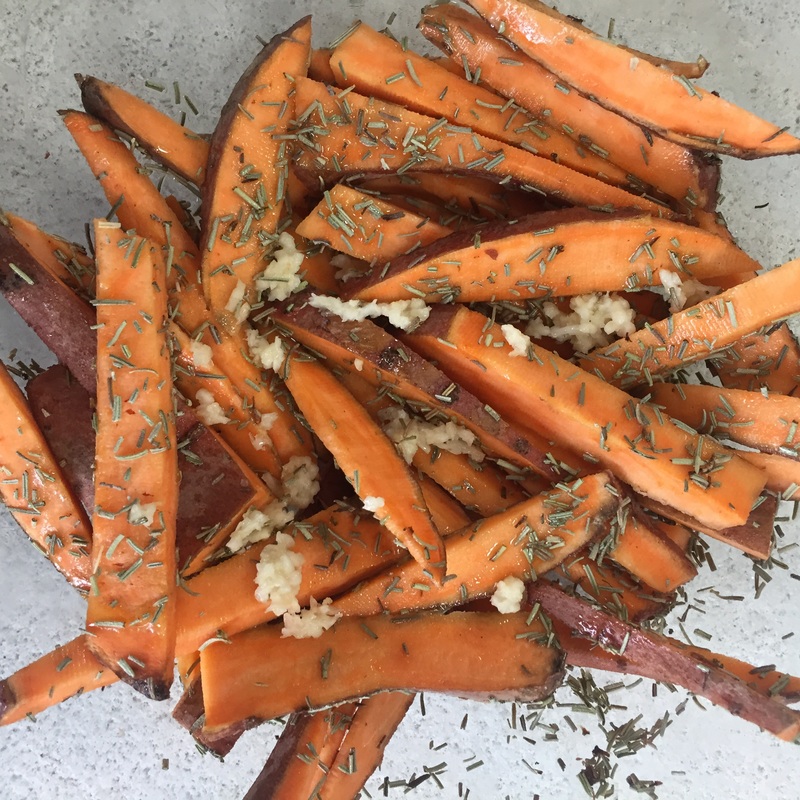 Sweet potatoes are a great alternative for those of you who are avoiding nightshades in their diet, or just want an interesting alternative to regular fries. Sweet potatoes are a great source of vitamin A which is a pretty big deal in terms of normal vision, the immune system, and reproduction. Recent research has also suggested that they have anti-inflammatory properties and antioxidants. 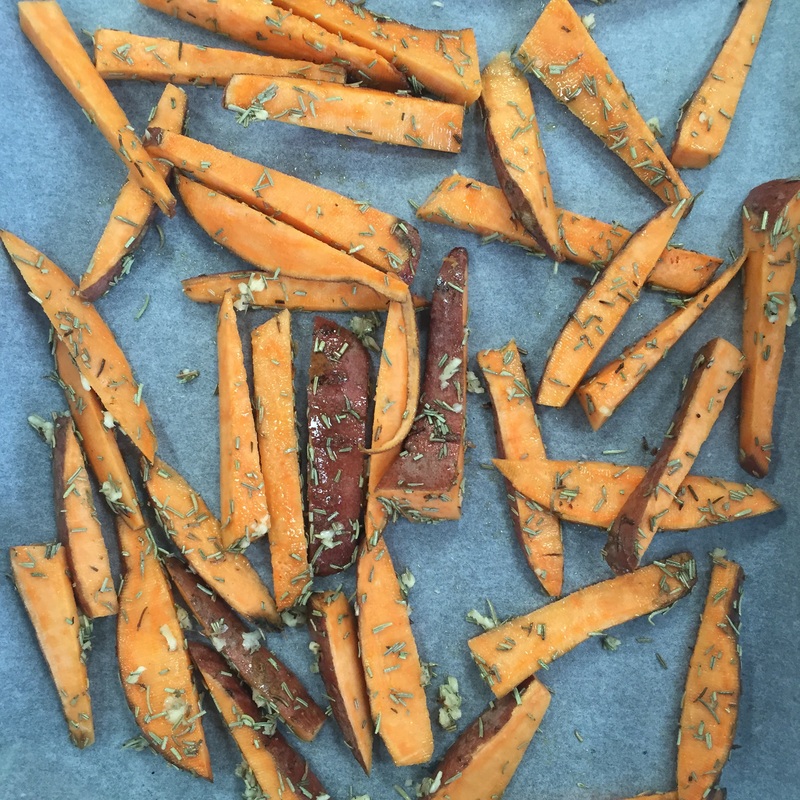 Preheat the oven to 180 and line a pan with baking paper or tinfoil. Leaving the skin on, roughly chop the potatoes into either fries, wedges or chunky fries. This is completely up to you – the choices are overwhelming I know, I prefer fries personally. Pop into a bowl and pour over the salt, rosemary and garlic. Stir all together and then put onto the lined paper. Leave to cook for about 20 mins before flipping them over/giving them a good shake and then cook for another 15 mins or until crispy on the edges.